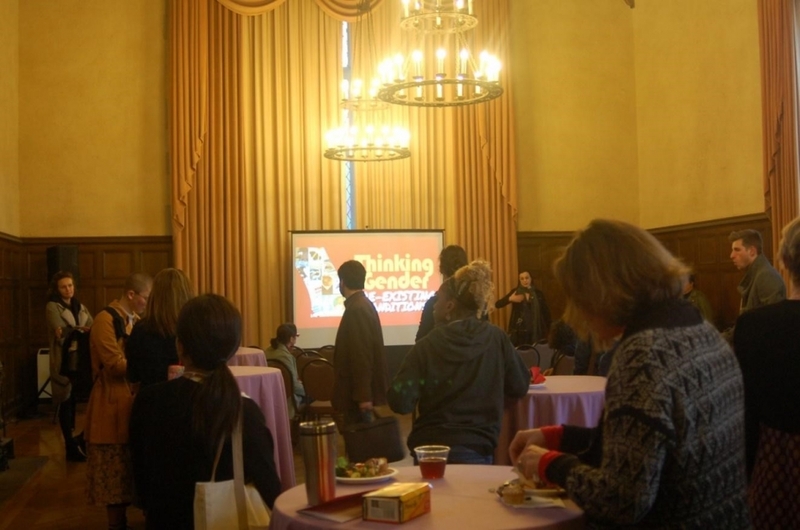 Thinking Gender, now in its 28th year, is an annual graduate student research conference organized by the UCLA Center for the Study of Women (CSW) that features original student research on gender and sexuality. 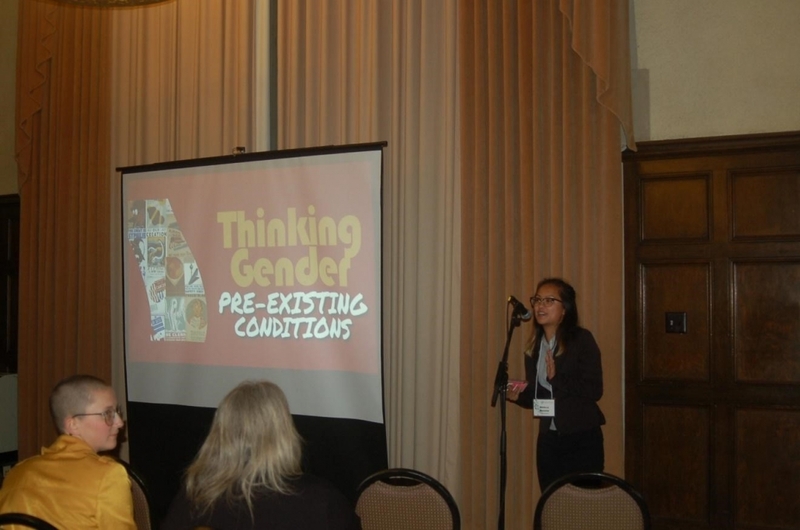 This year’s conference theme, Pre-existing Conditions, explored ongoing discussions around the connections between gender, health, and healthcare. Academic graduate student research presentations—including panels and posters—have been the staples of past and present Thinking Gender conferences, highlighting research being done within UCLA and beyond. 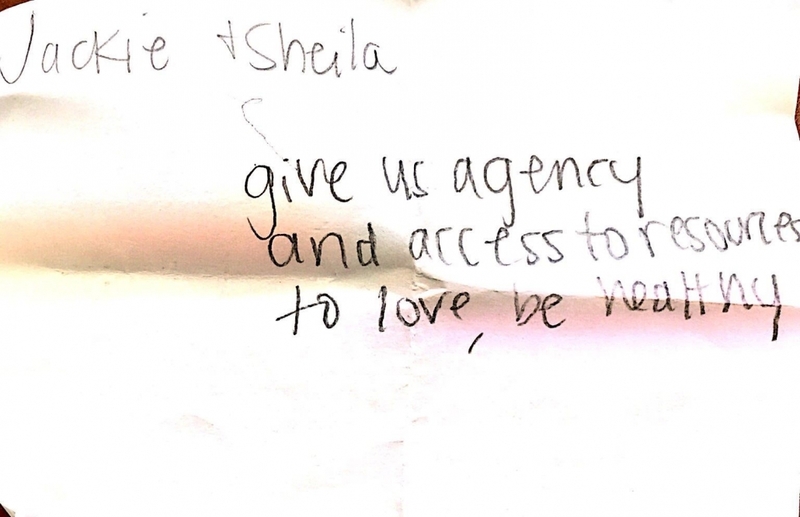 This year, however, we wanted to do something new, and we incorporated the first-ever Thinking Gender, Pre-existing Conditions Art Exhibition into our proceedings. This week-long exhibition was held in Kerckhoff Gallery from February 23rd to March 2nd and featured works that use artistic expression to further conversations about health and well-being. 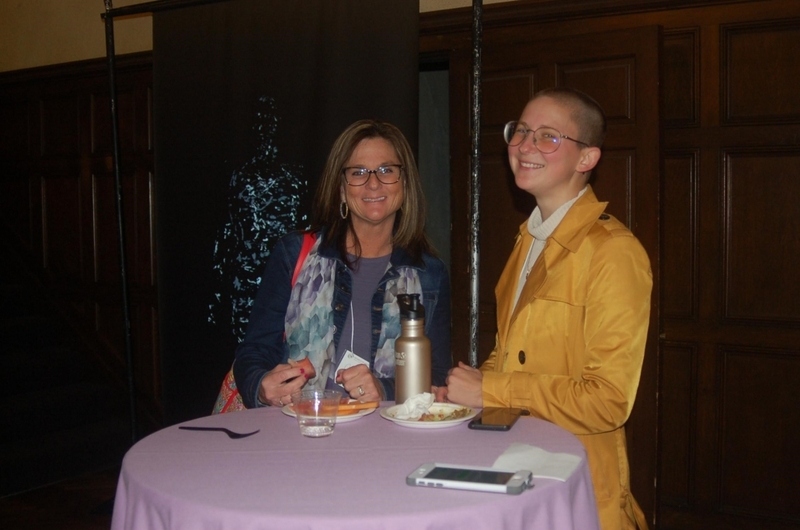 To celebrate this artistic exploration of health—and the successful completion of our first day of our conference—we invited presenters, faculty, students, and other guests to join us for an Art Reception and Film Screenings networking event on the evening of March 1. We partnered with a number of UCLA organizations to extend this event’s local impact. The UCLA Art and Global Health Center kicked off the evening with a performance piece called Sexophonic Choir, which invited volunteers to vocalize lessons about sexual health. Then, they led us on an interactive art walk from the main conference venue at the UCLA Faculty Center to Kerckhoff Grand Salon and Gallery. 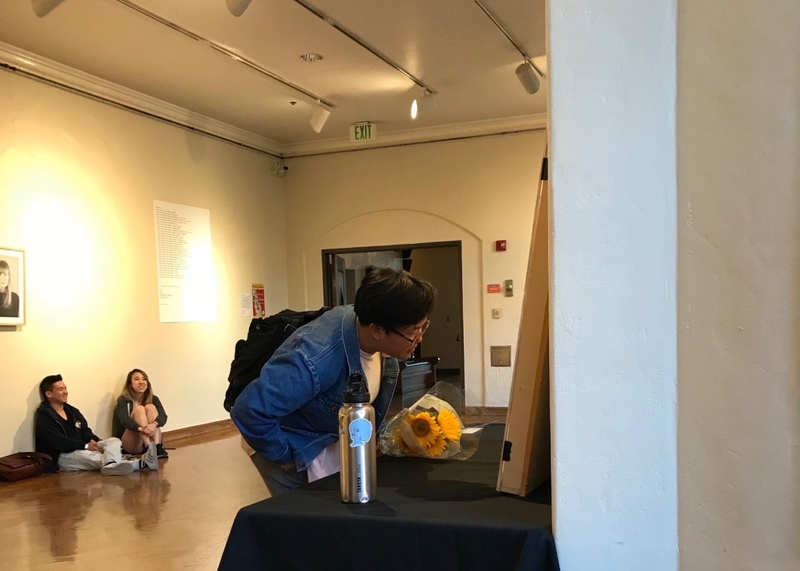 At Kerckhoff, we were joined by our partners from the UCLA Cultural Affairs Commission who helped us curate the exhibit and connect with students across campus. Our week-long exhibition included a photography exhibit (Guarded) by Taylor Yocom, featuring images of women and the objects they would use to defend themselves from sexual assault; a fiber art piece (No.Stop.Help.) 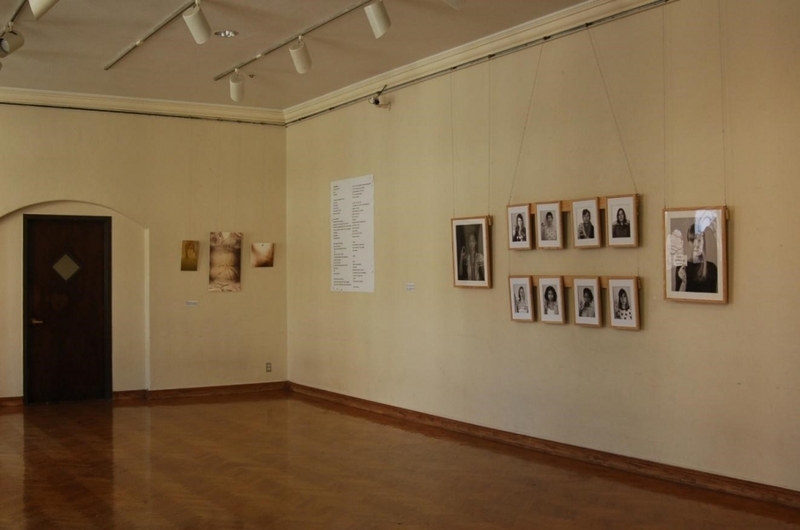 by Sarah Fahmy about sexual assault victim blaming; public health-themed poetry (data entry and statistics) by Uyen Hoang; and abstracted photographs of body skin impressions (Suspicious Warping: Close to the Skin) by Cecily Fergeson. We also featured digital installations and experimental art pieces. One life-size, digital installation piece (inter-I) by Elí Joteva explored physical body movement through light reflections and refractions off of water. 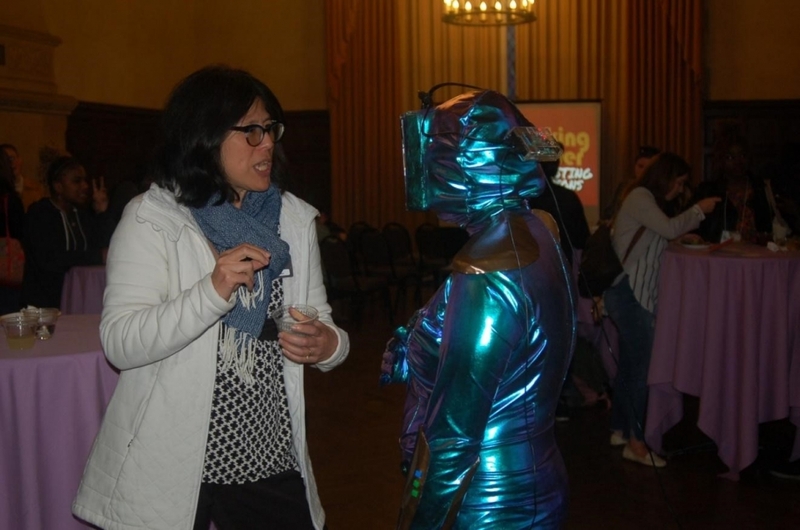 Two other pieces offered attendees an interactive experience to expand understanding of neurodiversity and mental health: Breathe, by Christina Curlee, was a video game that let players experience life with an anxiety disorder; and Kristin McWharter’s The Chameleon Spacesuit invited viewers to engage with the artist, who was clad in a robot-like costume meant to represent the challenge of interacting with the world as an autistic woman. Our two films showcased untold stories: one, for example, provided commentary on queer Filipino college students’ mental and physical health as a motivating factor for Alaskan Natives’ environmental justice activism. This year’s Thinking Gender art show told stories designed to expand and challenge how people conceptualize health. From women “Guarded” and prepared to defend themselves from sexual assault, to the relative intimacy of data entry and cold perceptions of statistics, to alien feelings of being unable to express yourself emotionally (The Chameleon Spacesuit), our artists tackled topics of mental and sexual health, reproductive justice and body imagery as art and health collided. Arielle Bagood introduces her film, Queer Filipino American Students and Mental Health? The UCLA Center for the Study of Women is an internationally recognized center for research on gender, sexuality, and women’s issues and the first organized research unit of its kind in the University of California system. Though CSW is funded by the Division of Social Sciences, it serves the entire university. Read more about its Mission HERE.